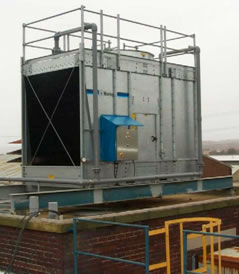 Open cooling towers require careful treatment prior to commissioning and throughout their operating life. Cooling towers generate an aerosol, which can disseminate water droplets into locations where they present a risk to personnel. These droplets may be inhaled and if they contain Legionella there is an associated risk to health.